Some things to remember while organizing this fun prenuptial fête. If you’ve begun planning your wedding, you’ve likely also started to think about the other festivities you’ll enjoy before the big day, such as the rehearsal dinner. This event traditionally occurs a day or two prior to your nuptials and can be as formal or informal as you wish. Some couples plan a sophisticated dinner, requesting cocktail attire, while others simply design electronic invites and bring their guests into their home to mingle and enjoy themselves. The rehearsal dinner typically follows the actual rehearsal of the ceremony procession. Typically, the only invited guests are the wedding party and their significant others, very close family and friends, and perhaps any guests from out of town. The dinner should show gratitude to your loved ones and many times, brides and grooms gift their bridesmaids and groomsmen at this event. Guests care more about you as a couple. Many couples want to wow their guests with any prenuptial event, but attendees will enjoy themselves no matter how extravagant or casual the dinner. They want to celebrate you and the love that you share, which is all that matters in the end. You don’t need to choose a theme. Don’t feel as if you need a lot of decorations or come up with additional color schemes. A simple, well-thoughout evening can still be just as elegant and beautiful. Formal invitations are not required. You can invite guests simply by word of mouth, especially because rehearsal dinners are usually more intimate. Electronic invites, handwritten notes, or customized suites work well too. Just like the wedding, you should suit your tastes within your spending limit. The wedding still comes first. 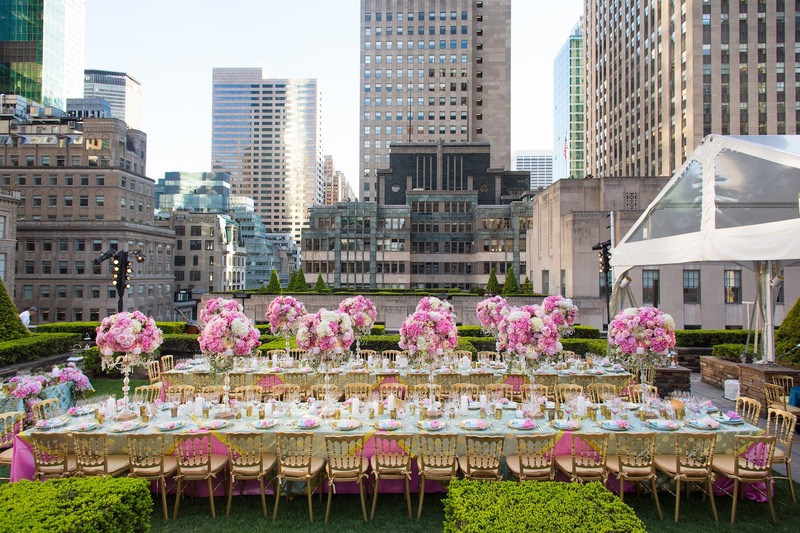 Traditionally, the groom and his parents were responsible for hosting the rehearsal dinner, however nowadays, many couples opt to host themselves. If the latter is the case, don’t stress yourself further while planning the rehearsal dinner. It can be easy to get caught up in the hustle and bustle of organizing any celebration, but just remember that this should be secondary to the wedding. This is a time to bond with friends and family. Focus on your attendees throughout the night. This is your time to share with them before the big day, so welcome them and relish their company. Host the dinner somewhere you are comfortable. This evening will hold special memories, so select a location where you feel comfortable and can relax. Whether you’re at a restaurant, country club, or private residence, also make sure that it’s a venue that is equipped to meet the needs of any disabled or elderly guests that may be in attendance. Make the evening as short or long as you wish. A rehearsal dinner can last as long as you make it. In choosing the time length, consider your guests who have traveled or may have work obliations, or any children that might be present. Some couples have opted for anything from private carnivals to winery tours to a simple family dinner at grandma’s house – the choice is really yours. See examples of real rehearsal dinners and read expert tips on throwing your first holiday party as newlyweds.